We wish all of our valued clients a very happy Christmas and prosperous 2016. Please note we will be closed over the Christmas and New Year period from 12 noon Tuesday 22 December, and reopening Monday 4 January. We would like to thank you for your support throughout the year and look forward to working with you in 2016. Tell us what you want to hear about at South Australia’s most valuable workplace seminar. Walking the Talk is back in 2016 and Norman Waterhouse’s Employment and Industrial Relations Team will again take you through an in-depth analysis of the most important issues facing your workplace. Also, back by popular demand, our interactive Q&A session. This is one seminar that Chief Executive Officers, human resource professionals and senior managers across State and Federal industrial regimes can’t afford to miss. Get the right advice on your workplace issues at this full-day seminar. "It is the only conference that I MUST attend each year. You all continue to deliver a dynamic line up of subjects and presenters, well done." "The best seminar I have attended in recent years." Click here to add the calendar appointment to Outlook. The 2016 Industrial Relations Summit is hosted by Balance HR and will be held at the Haven Motor Inn Glenelg on Friday 12th February 2016. The theme builds on the 2014 IR Summit and is focussed on wage sustainability. Guest speakers include John Comrie who will present data on wage percentage models, that is employment costs as a percentage of total expenditure, Scott Rofey from the Western Australia Local Government Association (WALGA) will discuss the effect of the CEO Remuneration Tribunal on WA Councils and we will reflect on whether a similar process would be beneficial in SA. Geoff Pawsey from the Municipal Association of Victoria (MAV) will recap the journey Victorian Councils undertook in the establishment of a State Award in the Federal system and we will look at what this might mean for SA. 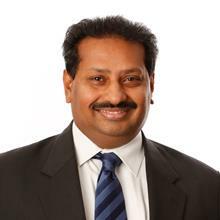 Sathish Dasan from Norman Waterhouse will recap the key decisions affecting Local Government from 2015. The program is equally aimed at Council Employees and Council Elected Members as we try to grapple with unsustainable levels of wage growth. Early bird discounts and multiple participant discounts available. For more information please contact Robert Wallace on 0430 816 665 or rob@balancehr.com.au. 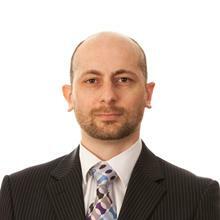 In a successful appeal to the Full Court of the Supreme Court of South Australia, Norman Waterhouse, representing Regional Development Australia Murraylands and Riverland Inc (RDA), has secured the overturning of a $335,574.08 damages award to a former executive employee. RDA was formed by the amalgamation of two former, neighbouring regional organisations. This amalgamation was compelled by the Federal Government. Each former organisation had a Chief Executive Officer, both of whom applied for the Chief Executive Officer role in the amalgamated RDA. One of these applicants was Mr Smith. Mr Smith was not successful. In our June 2015 Briefly we discussed the South Australian Government’s plan to abolish most forms of stamp duty in South Australia as part of the State budget for the 2015-2016 financial year. Our original Briefly summarising the main aspects of the amendments can be accessed here. I wrote last month about the risks of dying without a valid will, and the need to make estate planning arrangements before they become urgent. However, as recently became evident in the long-running legal dispute between Gina Rinehart and certain members of her family (the final judgement is available here), simply having a will that provides for your beneficiaries will not suffice to prevent disputes arising.